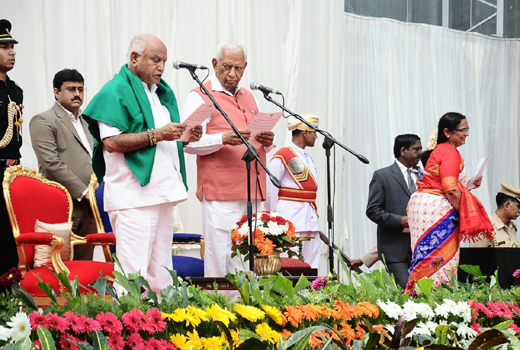 Bengaluru, May 17, 2018: BJP’s B S Yeddyurappa takes oath as the 23rd chief minister of Karnataka even as none of the council of ministers were sworn in today. In a rare pre-dawn hearing, Supreme Court refused to stop BJP leader BS Yeddyurappa’s swearing-in as Karnataka Chief Minister at 9 am on Thursday. The apex court has posted the matter for hearing on Friday. 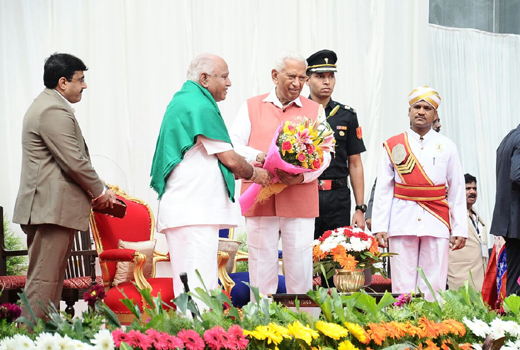 The court has asked that the letter given by Yeddyurappa and senior BJP leaders to the Governor in which it was stated that the party has the requisite number of MLAs to form the government be produced before the court. During the overnight hearing by the three-judge bench, comprising justices A K Sikri, SA Bobde and Ashok Bhushan, the letter of support from majority of MLAs submitted to the governor for forming the government had become a major sticking point. The Supreme Court said that it can’t overturn the decision of the Governor without seeing on what basis the BJP had claimed to have the numbers. The apex court made it clear that it won’t stay the swearing-in but it would be subject to outcome of the petition in the court on Friday. The Congress-JDS had moved the court late on Wednesday night, seeking a stay on the swearing-in, calling it unconstitutional. 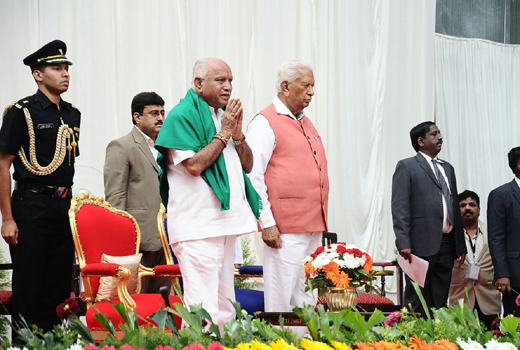 It argued that the Governor should have invited the majority post-poll coalition of JDS-Congress first. The 15-day window given to BJP to prove its majority was also deliberated upon, but the court refused to modify it, for now.